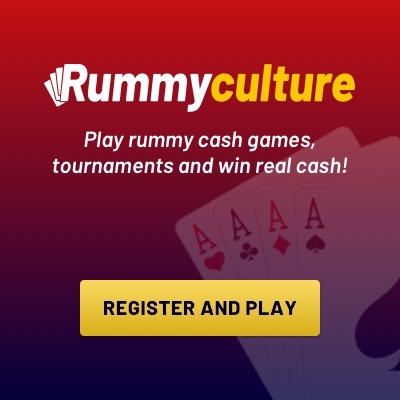 How to Play Points Rummy Games on Rummyculture ? There are many advantages to taking up rummy and this is why the game has been around for so many centuries. So before getting into how to play rummy, we’re here to tell you why you should take it up as a hobby that gives multiple dividends. Apart from being a whole lot of fun to play, rummy has a positive impact on one’s brain function. Players are known to develop better organisational skills as a result of arranging cards in sequences or sets. Rummy players, over time, are also known to be able to recognise patterns and cues more effectively which lets them make better decisions in their professional capacities as well. With all these benefits, playing rummy is certainly becoming more attractive these days, besides who can resist playing rummy to win real cash too? Also, these different skills can be honed and perfected with practice, giving you more reason to invest in getting better at the rummy card game. When it comes it the 13 Rummy card game or Indian Rummy, there are three versions which are well known which are, Deals Rummy, Points Rummy and Pool Rummy. Out of these, we will cover Points Rummy today so read on. Points Rummy is a fast-paced variant of the 13 card game. It is a single deal game that is played for points that have a predetermined rupee value. One winner takes home all the cash at the end of the game upon declaring a valid show. The value of the winning is the sum of the points of all the opponents multiplied by the predetermined value of the points in rupees, minus the rake. Points Rummy is played by anywhere between two to six players and usually uses two or more packs of 53 cards, which includes one joker per pack. According to rummy point rules, every player brings a minimum amount to the table. It is a system generated toss that determines which player gets to make the first move. Every points rummy player is dealt cards each, randomly. Once the first card from the remaining pack is placed in the open deck, it is an indication that the game has started. The remaining cards from the pack are placed face down as part of the closed deck slot. A joker is randomly selected at the beginning of every Points Rummy game. Players who drop out at the beginning of the game, also known as First Drop, will get 20 points. Those players who make a Middle Drop or choose to leave the game before the game show is called by any player will get 40 points. Any player who does not meld any cards when a show is called and instead opts to leave the game gets 80 points, this is known as a Full Count. A player of Points Rummy has to discard a card into the finish slot in order to finish the game. When a Points Rummy player moves a card into the finish slot, they must show their cards in hand after melding them into sets or sequences and should click on the ‘Declare’ button. There is an allotted amount of time, within which every Points Rummy player should declare sets or sequences. With the cards in hand, the player who finishes the game must have two sequences, out of which one has to be a pure sequence. The player also has to declare jokers in hand, for it to be considered a valid finish.